In this new revised edition (Elephant Tree House 2015), the essay “A Poetics of Adoption: Love and Grief” and several more poems join the original collection. 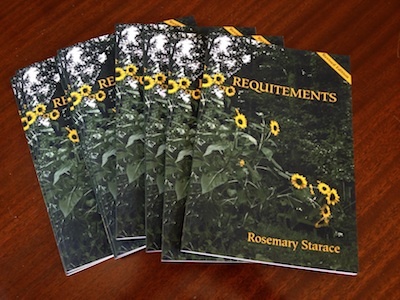 See sample poems below the reviews. You can purchase copies through Paypal, using a credit card or your Paypal account. $15. —Dave Bonta on Via Negativa. Read full review of original edition here. 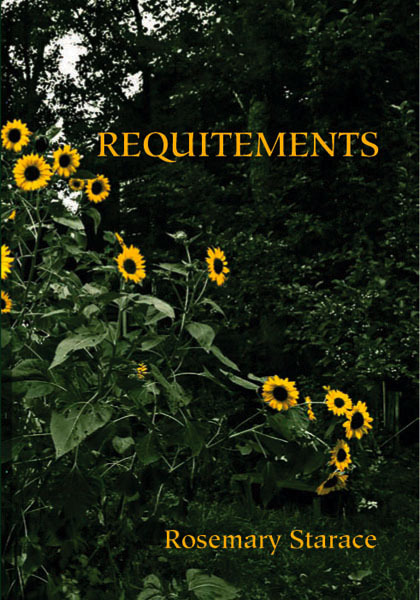 “Requitements is a book filled with the ache of yearning and the delight of recognition. Starace sees the world through the double vision of her life as an adoptee, exploring the possibilities of doubleness in language and imagery. Everywhere there are two of everything —two mothers, two identities, even the instruments played in the title poem: the doubled string / the mandolin, the dulcimer. In ‘I Am Double,’ a calling is also a caul, twoness rows her toward her destination. Revised edition published by Elephant Tree House, March, 2015. Original edition published March 2010.